Every year Creative Market releases a list of the most popular products on the marketplace within the past year. Quickly after we started selling our very popular MH Magazine WordPress Theme on Creative Market in November 2013, we ranked already on position 71 of the most popular products in 2013. 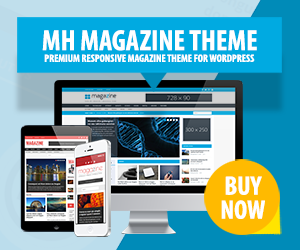 Now, one year later we are extremely proud to announce that MH Magazine was officially the most popular and best selling WordPress theme on Creative Market in 2014. To be honest, when we received the list of the most popular products on Creative Market tonight, we expected that MH Magazine would be included as it was selling very good on Creative Market in 2014. What we didn't expect is that it was truly the most popular WordPress theme in 2014 and it's even ranked as 2nd most popular product out of all products on Creative Market. That makes us very proud and it's a good motivation for 2015! We're really happy that you like MH Magazine that much and it's nice to see that we are getting something back for all the time and work we've invested to create this magazine WordPress theme and still do. With MH Magazine WordPress Theme you can create online magazines, dynamic news websites and professional blogs within minutes. In case you haven't got your copy of MH Magazine yet, you can see several examples of fantastic user sites in our showcase. And if you want to get started right away, you can purchase MH Magazine in the MH Themes Shop. We have very ambitious plans for 2015 and among theme updates we also plan to release several new WordPress themes for your editorial websites in 2015. 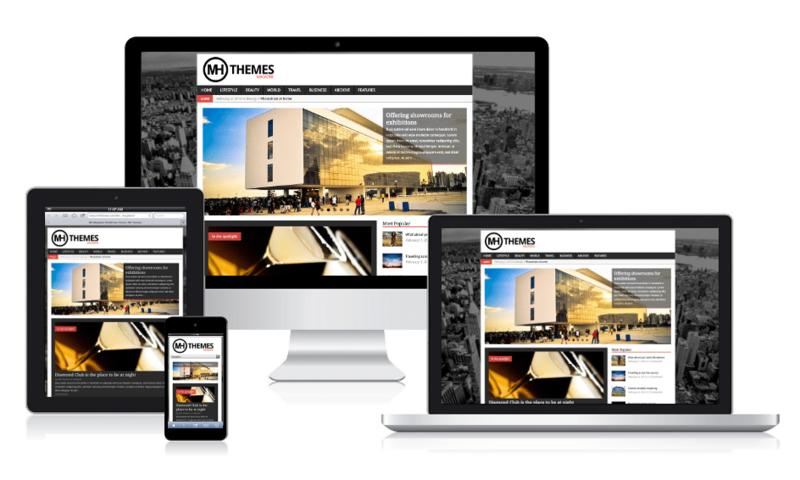 So whether you are running professional online magazines, dynamic news websites or blogs, MH Themes will offer great solutions for your projects and our goal is to not only maintain our very popular MH Magazine WordPress Theme, but also to release some of the best WordPress themes for editorial websites on the market.